The only new bird on the pre-breakfast walk was a willow warbler; it was more a chance to remind ourselves of what a superb place Okaukuejo is for its wealth of birds, let alone the mammals beyond the perimeter fence. Cheryl photographed a pied crow eating a mouse; white-crowned and red-breasted shrikes were as tame as ever here. At the waterhole, watched over by one large elephant, the mammals came and went: zebras in a procession going out, a line of kudus coming in. Namaqua sandgrouse burbled as they flew around and a single cattle egret fed on the pool’s edge along with the usual wood sandpiper and a bunch of Cape turtle doves. 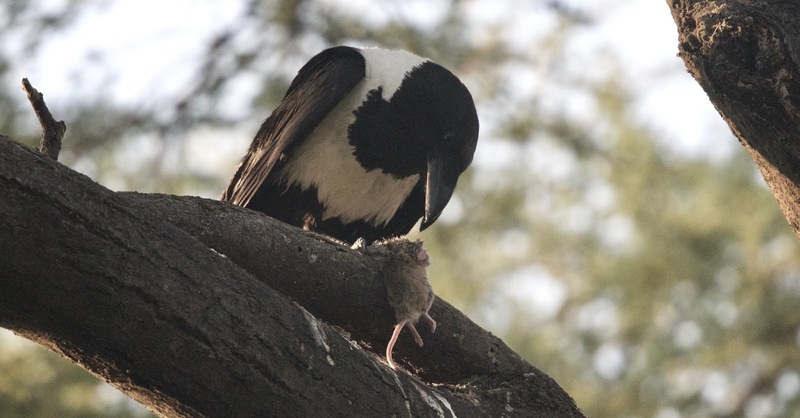 A pied crow eats a rodent (Cheryl Hunt). It was mostly a day of travel, though punctuated with various breaks. The first of these was just off the tarmac road south out of Etosha National Park at Ombika waterhole, though it was more of a sunken spring, the water out of sight. Here four ostriches stood surrounded by impalas, zebras, gemsboks and springboks, and one warthog walked away. 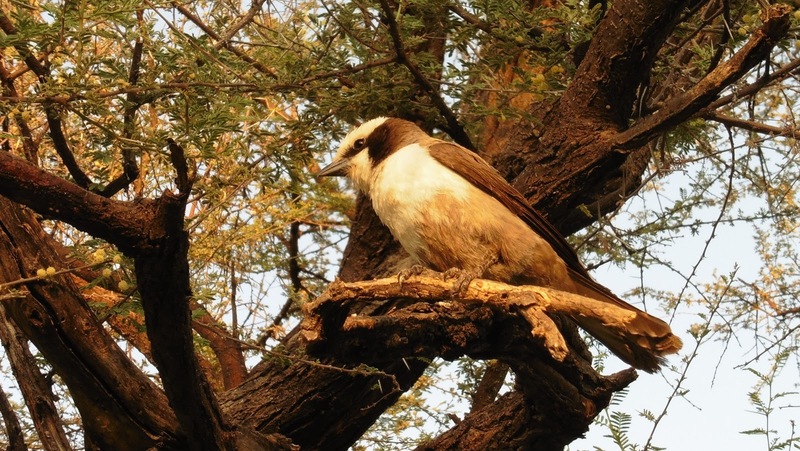 A confiding southern white-crowned shrike at Okaukuejo. Leaving Etosha we carried onto Outjo where there was a delightful coffee shop. Some in the group went into the Spar supermarket and several came away with purchases from the souvenir shop. Lunch at Omaruru was at a restaurant with a large garden that had various eccentric sculptures, wood-hoopoes flew through and a fine citrus swallowtail was nectaring on flowers. It was only on the last stretch towards our new base in the Erongo Mountains that we were back onto dirt roads. Apart from a brief pause for two Verreaux’s eagles, we kept going until we arrived at 15:45. We were greeted with a smile and a glass of orange juice and settled into our rooms overlooking the granite hills. 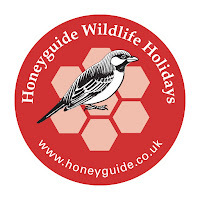 There was time to potter, swim or watch white-winged starlings and mountain wheatears before gathering for drinks and a delicious four-course meal. The dramatic backdrop at Erongo Mountains (David Bennett).